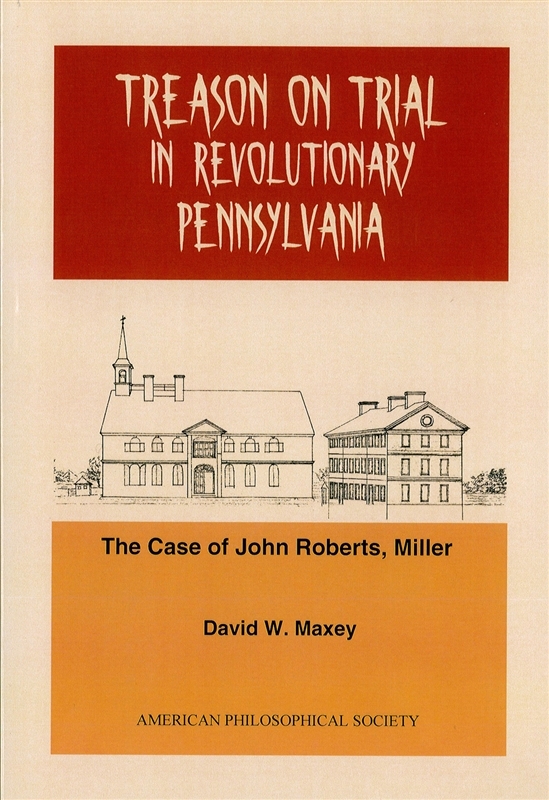 In the fall of 1778 John Roberts, a prosperous Quaker miller who owned valuable property located about ten miles from Philadelpha, stood trial before a jury that found him guilty of having committed treason. He was charged with having betrayed the patriot cause and the nascent government of Pennsylvania by joining the British when they had earlier occupied Philadelphia. If not entirely innocent, did Roberts nevetheless deserve a trip to the gallows a month after the jury returned its verdict? 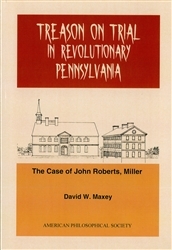 Relying on two long-neglected contemporary records of this treason trial, David Maxey explores in depth the issue of Roberts’s guilt while capturing the atmosphere of confusion, conflicting loyalties, political bickering, and religious tension that prevailed in and around Philadelphia during that period. This is a study, replete in characters and contraditions, of the American Revolution as a civil war that divided neighbors and neghborhoods and of pardon that came haltingly when it came at all. Illus.